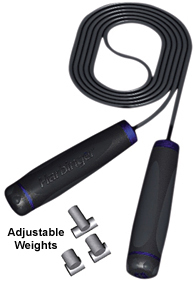 Jump ropes are an inexpensive and fun way to improve your health. 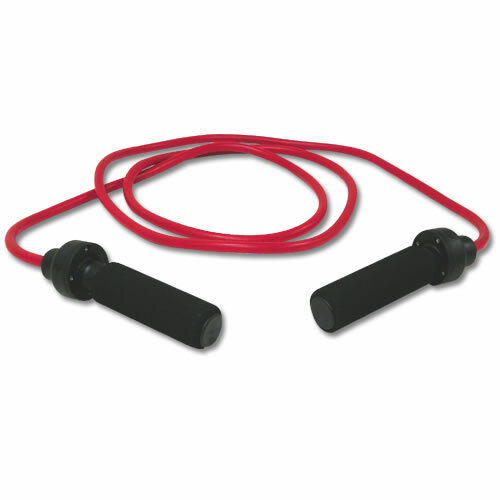 It’s likely that you were introduced to jumping rope when you were a child as a fun form of entertainment. Today, they are an important part of many cross-training, boxing and martial arts training programs. They are used as a complement to cardio and endurance training routines, such as riding a training bike or swimming in a pool. They are cheap, take up little storage space, and are a great tool for quickly building stamina, endurance, agility, and speed. Jumping or skipping rope is also considered to be easier on the knees than running since the balls of your feet absorb most of the downward impact of jumping. Whether you are looking to recapture some fun from your youth or training for competition, be sure to browse our selection of exercise ropes. 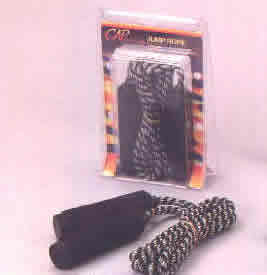 We carry a great selection of speed ropes, basic training ropes, segmented and adjustable jump ropes, plus leather and weighted jump ropes.